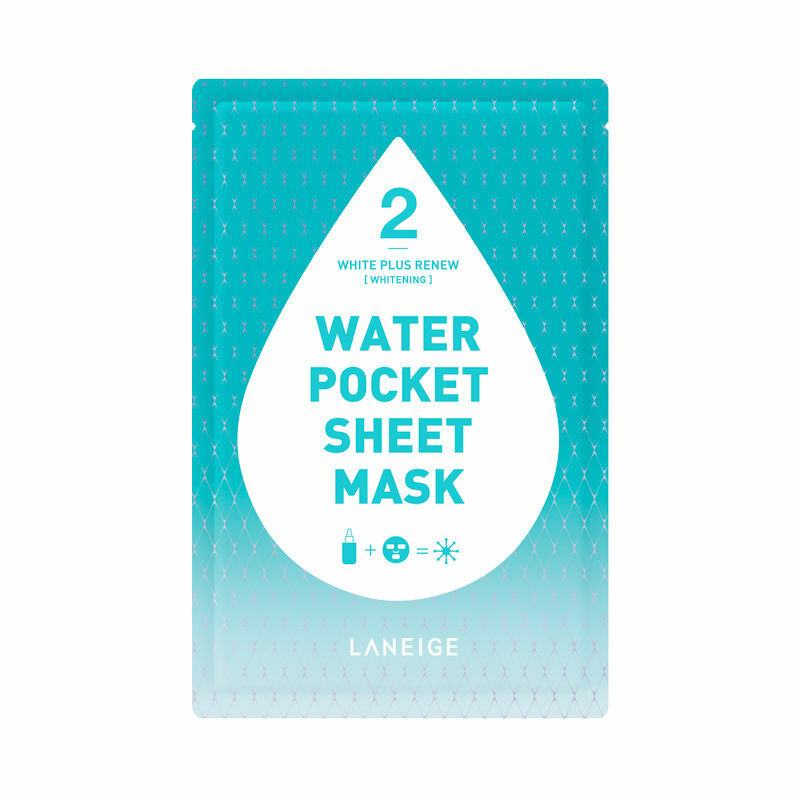 The LANEIGE Water Pocket Sheet Mask provides customized skincare for each skin problem as the water pockets containing concentrated nourishment closely adhere to skin. This is for all skin types with the benefit of whitening. Since the densely woven, highly elastic fabric closely adheres to skin along the curves of the face, it does not get flabby or droopy. The diamond-patterned water pockets containing essence keep skin moisturized for long hours by effectively delivering the essence to skin. Explore the entire range of Sheet Masks available on Nykaa. Shop more LANEIGE products here.You can browse through the complete world of LANEIGE Sheet Masks .